Professional 8-pc. 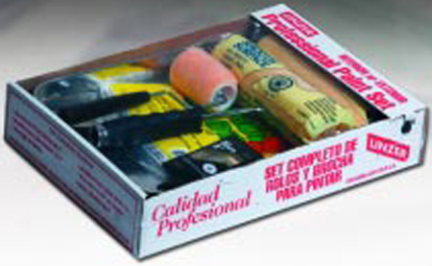 kit includes 2 of 3/8” roller covers. Metal tray. Drop cloth. 2” trim brush. 3” roller frame and 3/8” roller. 5-wire cage roller frame with metal ferrule.